We are no longer supporting new API integrations and will not be issuing new Keys until further notice. If you are looking to bring William Hill to your site or app you are welcome to sign up as an affiliate at http://affiliates.williamhill.com/ . 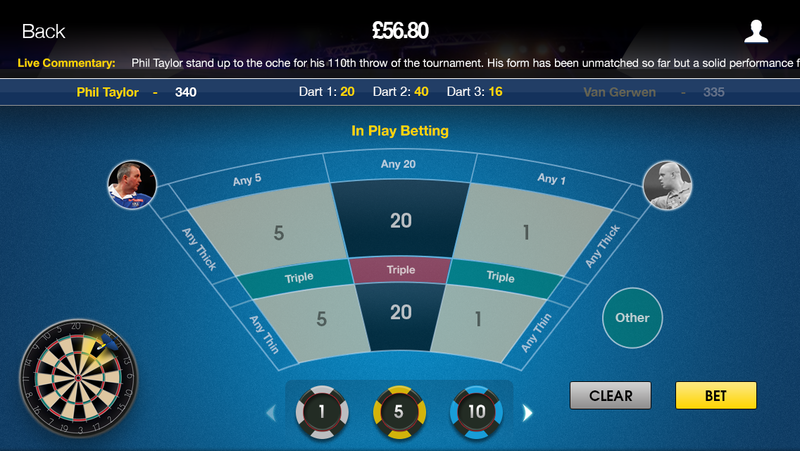 You can access the latest odds on a variety of events and earn revenue as a partner referring users to William Hill. Please, contact us if there are any questions. 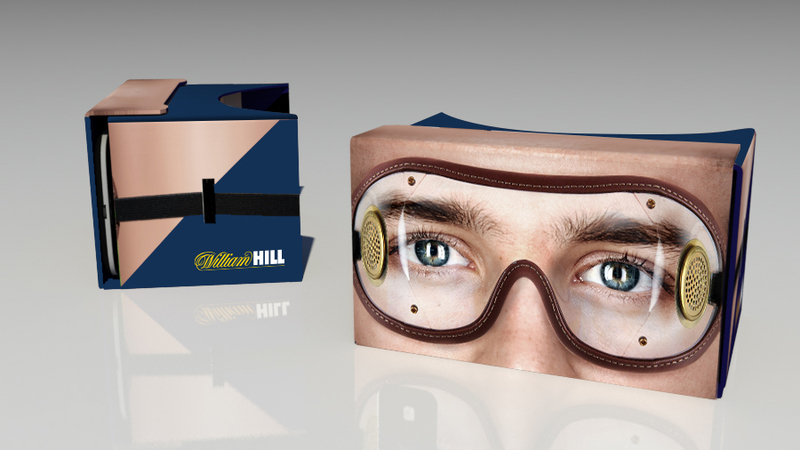 WHLabs is a dedicated experimental division within William Hill, focused on creating the innovations that will make our customer experience uniquely compelling. 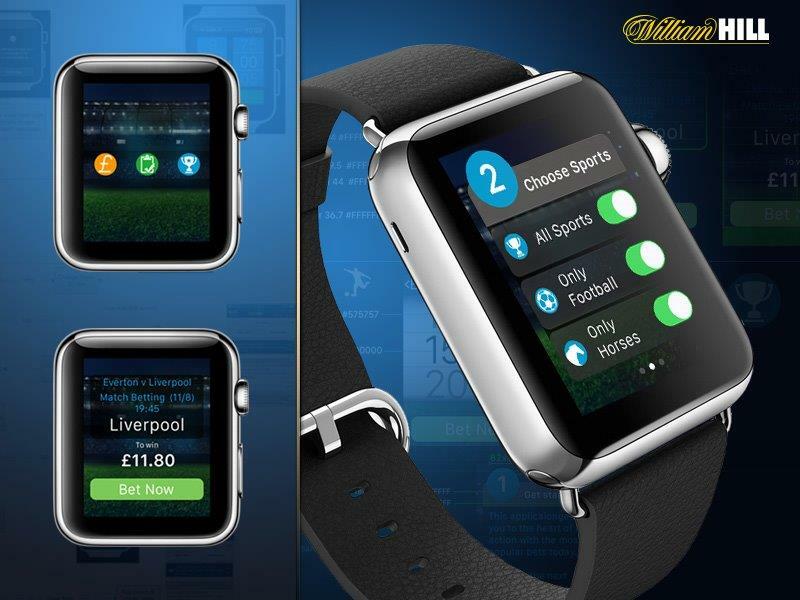 From the industry’s first Apple Watch-ready app, to virtual reality and novel in-play betting apps for both football and darts, WHLabs is already delivering never seen before betting and gaming experiences - with much more still to come. As part of WHLabs ambition to seek out the best innovations we created the industry-first WHLabs Accelerator Programme, opening our doors to five tech start-ups that are all working on creating brilliant new experiences for our customers. Check out the finalists in our WHLabs Accelerator Program. WHLabs launches two new apps, Rapid and Yes/No. Check them out in the App Store. 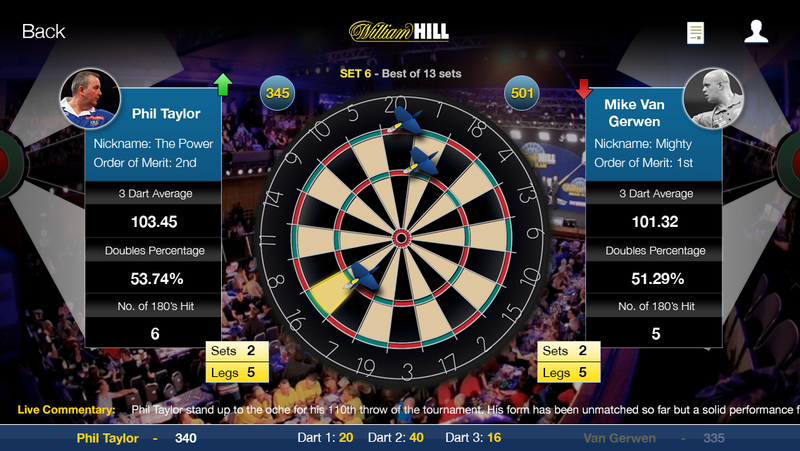 Built for the William Hill PDC World Darts Championship, the Darts App offers a new user experience for inplay betting. We're looking for new additions to the team. Are you interested? Check out the gallery for highlights of our latest projects. The industry first Apple Watch betting app. As well as our own in-house development, we're always on the look out for the next tech innovation and opportunities to collaborate. It’s why we've opened up access to our APIs and are actively encouraging people to get involved. 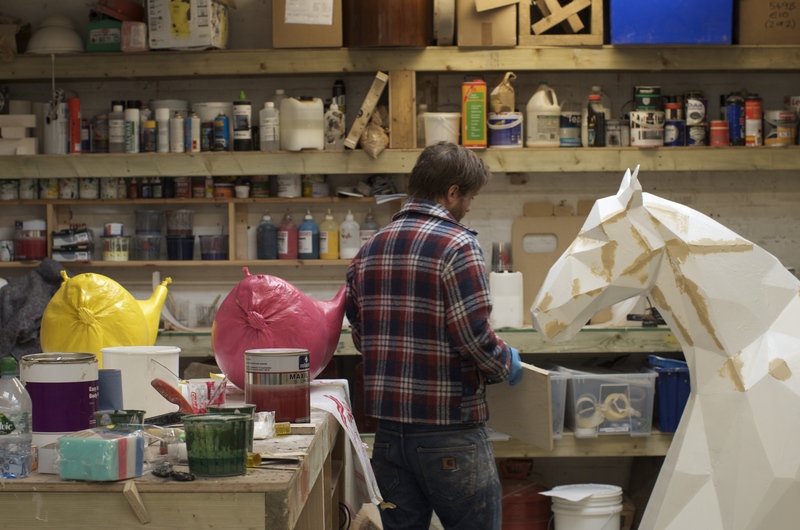 Have a great idea and the skills to develop it? Get in touch and let’s make it happen. You can find out more about our wide-ranging suite of APIs here. The Accounts API gives you access to the customer’s account details, so you can check their account balance and obtain other information such as name and email. A key part of any betting application is the Prices (odds) that William Hill offer on a range of different sports events. The customer is the most important part of any product you build. If you are looking to interact with a customer’s account you will need them to supply a username and a password to access to their account. Use this service to place bets with a customer’s account against sports events. You can register new customers by redirecting your customers to the William Hill website where they will go through our registration process. Allows you to generate certified random numbers for use in game play. Allows you to modify the public facing profile of a sportsbook account on the William Hill sportsbook. Suggest popular bets and allow users to tip each other by commenting after they have placed a bet. Upload funds into the customer's account or retrieve the type of payment method they use. William Hill is operated by WHG (International) Limited a company registered in Gibraltar. William Hill is licensed and regulated by the UK Gambling Commission (Number: 000-039225 R-319373-001) for customers in Great Britain, and licensed by the Gibraltar Government and regulated by the Gibraltar Gambling Commissioner (RGL no. 034 & 042) for all other customers.